Hourglass is a brand that I have not heard all that much about so I was really intrigued to try out some of their signature products. I have also tried one of their gorgeous lipsticks, and you can find my review of that here. 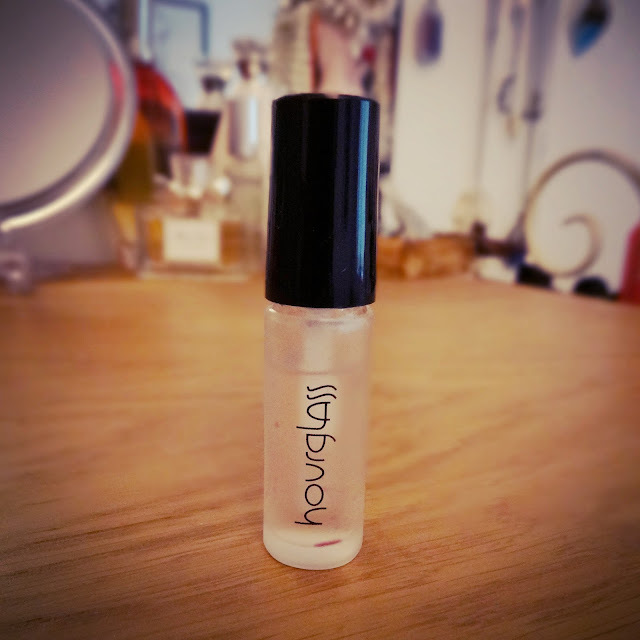 This luxury primer costs £62 for a 30ml bottle so I was excited to give the sample a go. The No.28 primer serum contains 28 special ingredients that help to prepare the skin for make-up application. It is also described as a make-up ‘must have’ so I was looking forward to being wowed. I tried the primer serum over the top of moisturiser below my foundation before an evening out. I knew I would have quite a heavy make up application, so I wanted to ensure it would stay put all night. The serum glides onto the skin and leaves it feeling silky and smooth. It helps to make your make-up application seamless and perfect, as foundation smooths over the skin much more easily than without primer. My skin felt glowing and lovely and it made my overall make-up feel more ‘done.’ In terms of longevity however I am not someone that uses primer often as I have quite normal to dry skin and I have never found that I needed anything to keep my make up applied. However, I did notice that my make-up stayed put throughout the evening and remained glowing and luminous. This product is definitely a luxury product and something that truly perfects your make-up. Plus, a little goes a long way with this which is always lovely with a luxury cosmetic. This brand is one that I will definitely be looking more into in the future. Has anyone tried this or any other products from Hourglass? What did you think?